The Hawaii basketball team will not have time to celebrate its season-opening victory over Montana State. Less than 24 hours after completing a 77-59 win over the Bobcats, the Warriors will host Cal State Fullerton on the second night of the Outrigger Hotels Rainbow Classic. The Titans are 0-1 after a last-second 70-67 loss to Central Michigan on Friday night. Hawaii assistant coach Brandyn Akana, who scouted Cal State Fullerton earlier in the week, described the Titans as a small but athletic team. 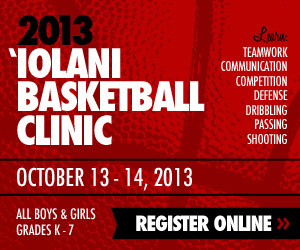 The Warriors and Titans will tip-off around 7:05 p.m. on Saturday at the Stan Sheriff Center. 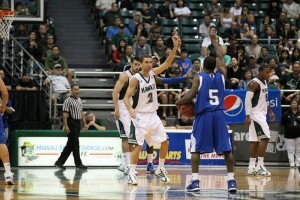 Tickets are still available, online at hawaiiathletics.com or at the Sheriff Center box office.